Climate Camp. 9/8/08 Enviromental protesters converge on Kingsnorth in Kent to protest over plans to build a new coal fired power station on the site. Activists head across country to the Power Station. Some scaled the fence others scuffled with the Police. 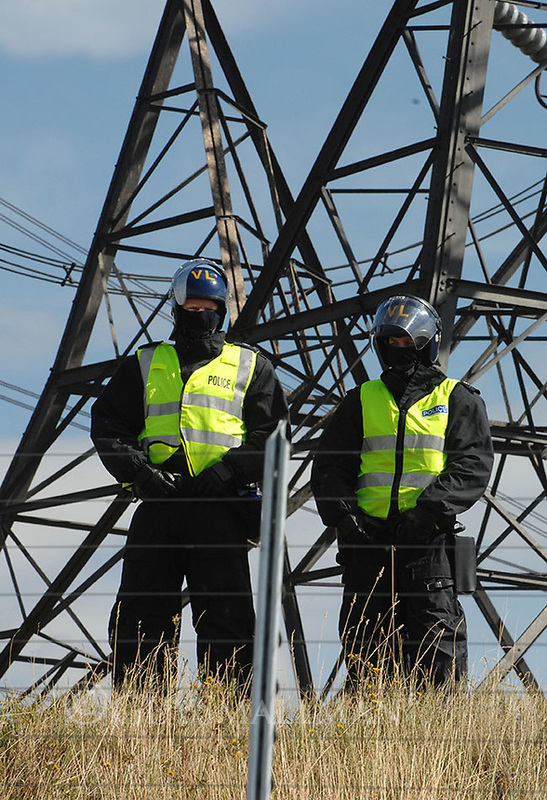 Riot Police guarding the power station.